click here to maximize your minimalism! are you a fonts enthusiast? a typophile? find the beauty on your daily walk! take time to notice the details of your landscape. there is nothing like seeing a great handbag in action. plastics are our future. how can you resist plastic? it is so shiny and pleasing. I have a penchant for plastics. have you ever noticed the similarity between nyc fire call boxes and benevolent Kannon, goddess of mercy? every design, fashion and art magazine I read lately features some important directional artist making big contributions to their genre. and where do they live? brooklyn! who says there are no more 'new ideas' in art and design? the newness is in the juxtaposition. this is how I really get things done. with my little green co-worker/task-master. useful, economical, modular pieces that can be mix-matched in numerous ways (because why can't fashion be useful and lasting? I think it can!) So I say Maximize your Minimalism! alas, the sneaker. (because I live in nyc and walk a ton!) but not too sneakery of a sneaker. more of a sneaker disguised as a shoe, like a mary jane style or a high-tech looking black one with a metallic accent. 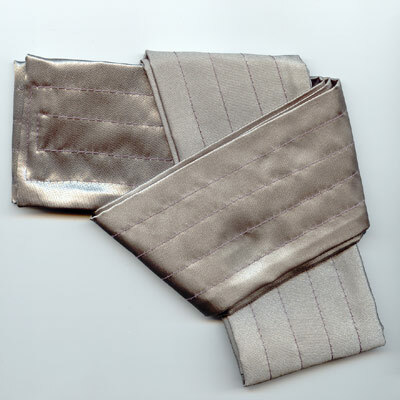 how about Royal Elastics? I must go try some on. I really like the non-sneakeryness of their styles. ...or your neighbor's open house. Or end-of-year cocktails at the office. no crying over what to wear. 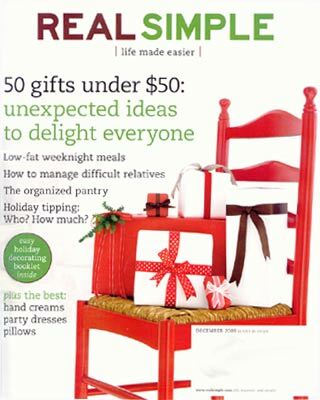 Check out the Holiday Issue of Real Simple Magazine [December 2006]. I just got mine in the mail yesterday. 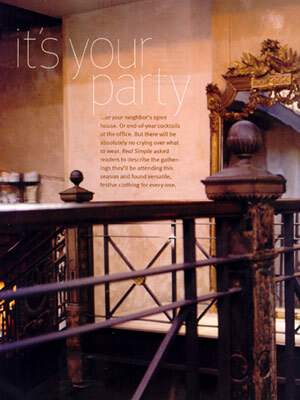 Our SATIN KARATE BELT in black is featured twice in the fashion spread entitled "It's Your Party." What could be better? 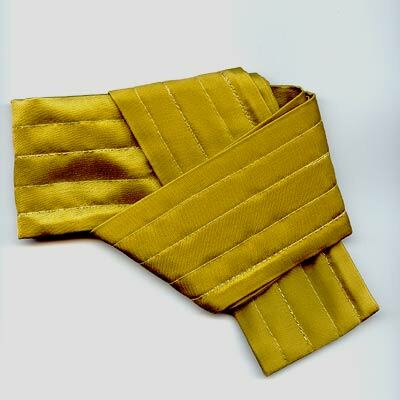 The editors at Real Simple understand that a little Karate Belt can go a long way! Don't forget to use my special offer for the SATIN KARATE BELT + T-SHIRT gift combo! 'Tis the season to use this special offer afterall. Enjoy, and thanks for all your e-mails and kind support! I am a fashion designer. gee. There is more. But that is enough for here.